This all-in-one Global 2 Stage Ceramic Water Sharpener features two ceramic wheels, one white and the other pink. The white wheel is course and the pink is fine to ensure an all round sharpened knife. The sharpening grooves are not parallel which means the wet stones have oblique angles to ensure razor sharp edges to your knives. Its simple to use, from beginners to experts and is ideal for Global knives, yet can be used on other knives. 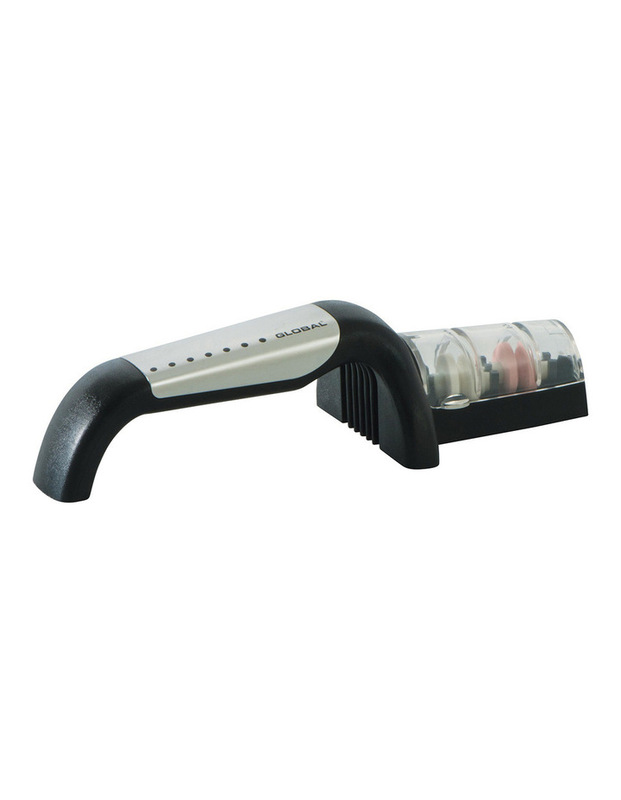 It also has a non-slip base and a stainless steel handle.